to critical acclaim. 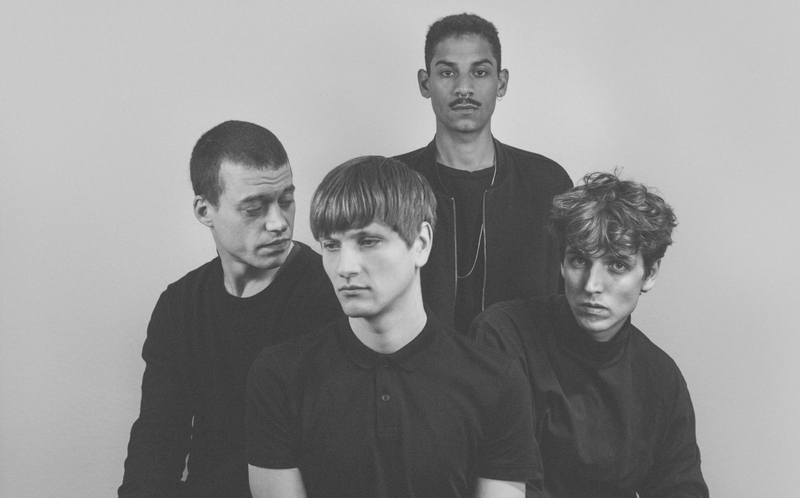 Invitations to major German and European festivals such as Dockville, c/o Pop, Immergut and Incubate, and support shows and tours with acts like Battles, Future Islands, Balthazar, SOHN and Rangleklods followed. In 2015, which in terms of concerts (including two major tours bringing them to France, Switzerland and Italy) was the band’s busiest year for the band so far, Xul Zolar released their first EP “Tides“, which showed off their outstanding talent of synthesizing the wide-ranging influences of the band members to a unique, captivating sound. Now two years after the release of their first EP, their debut album Fear Talk finally sees the day. As a major reason for taking so much time in addition to line up changes (original drummer Tim Gorinski was replaced by Dennis Hoffmann in 2014) and other commitments of the band members, the band cites the fact that they wanted to create an album which is more than just a collection of tracks written over the course of the band’s existence and which reflected the maturation of the band’s aesthetic vision over the years. (Von Spar, Cologne Tape), both of whom are part of Cologne’s vibrant contemporary music scene for whose growing relevance Fear Talk is another piece of evidence. than they were able to play live, which is why they were joined by bass player Dennis Enyan, who has become the band’s fourth member thus enabling them to perform Fear Talk live in its full glory.